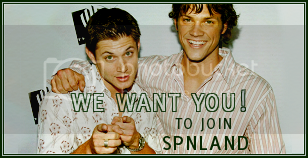 The new round is up at spnland. It a super fun challenge community that combines graphic challenges with writing and games and other creative challenges. Like maybe, at one point you get to bake an Impala cake, or something equally crazy-yet-fun.